If you’ve experienced an injury * at work you may have certain questions in mind regarding your employer’s responsibilities and how to go about instigating an accident at work compensation claim *. On this page you will find some highlighted extracts from our guide to the compensation claims * process. What are my employer’s obligations to ensure that I’m not injured at work? Apart from the extensive body of health and safety legislation that has been passed over the last several decades, there has long existed a common law duty on employers to take reasonable care for their employees’ safety. That said, the courts have consistently ruled that an employer will have discharged his duty of care if he has done what a reasonable and prudent employer would have done in all of the circumstances. The extent of an employer’s duty will be decided by looking at each individual employee’s age, knowledge and experience. In other words, an employer would be far more likely to be deemed to be liable to compensate * an unseasoned ‘rookie’ who got injured * at work than they would a veteran who had had the benefit of years of experience in the workplace when the injury occurred. 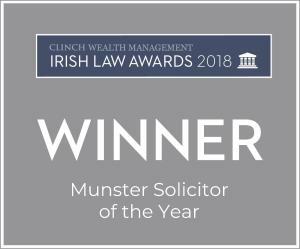 This means that, unlike certain other jurisdictions, where no-fault workers’ compensation schemes are operated, in Ireland the onus is on an injured worker to satisfy a court that they suffered their injuries * due to their employer failing to take reasonable precautions for their safety. This is why it is so important for someone who has suffered a workplace injury * to ensure that they have made every effort to secure as much evidence as possible before proceeding with their claim so as to be in a position to prove that their employer failed in their duty of care should the employer end up denying liability. While the common law duty of care of employers has been developing for centuries, dramatic improvements in employees’ safeguards from work-related injuries have been introduced since we joined the European Union. The Safety, Health and Welfare at Work Act 2005 provides the present statutory framework for securing the safety, health and wellbeing of employees in the workplace. It imposes broad general duties and organisational arrangements on employers to achieve better standards of safety and health for workers by preventing accidents and illnesses. Section 8 provides that it shall be the duty of every employer to do everything he or she can, as far as is reasonably practicable, to ensure the safety, health and welfare of his or her employees. While health and safety legislation has dramatically improved the protections which employees are entitled to in the workplace, it must never be forgotten that if an employer denies liability for an employee’s work-related injuries * it will fall upon the employee to prove to a court that the employer has breached one or more of their statutory duties. This is why it is so essential to ensure that expert legal advice is taken as early as possible so as to be sure that your claim * will be successful in the event that your employer will not accept responsibility for your injuries. Am I definitely entitled to be compensated * if I’ve been injured at work? 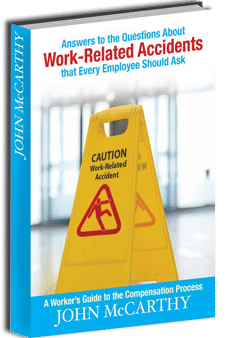 Not every accident that occurs in the workplace will give rise to an entitlement to be compensated. Unlike many other jurisdictions (such as, for example, the USA, Brazil and Australia), where workers’ compensation schemes provide that suffering an injury at work automatically entitles an employee to wage replacement and the cost of all medical treatments required, in Ireland the onus lies on an injured worker to prove that their accident was caused by some form of negligence or breach of statutory duty on the part of their employer. If, for example, your employer was fully compliant with all applicable health and safety rules and standards, and you were injured in a freak accident which was completely unforeseeable, your employer would not be deemed to be at fault and you would not be entitled to damages , irrespective of how badly you have been injured. 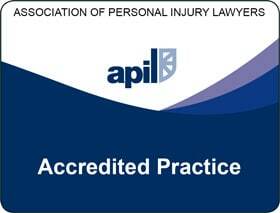 However, it’s important to remember that while you may not be aware of any particular shortcoming on your employer’s part as having given rise to your injuries, that’s not to say that an experienced solicitor specialising in work-related injuries * claims who carries out a detailed investigation with the assistance of experts such as forensic engineers and health and safety consultants will not be in a position to pinpoint breaches of relevant legislation which could be used to ground a successful claim for compensation * on your behalf. This means that while it’s unwise to assume that you’ll be entitled to recover damages if you’re injured at work no matter what, you should likewise never assume that you don’t have a good case just because you’re not aware of anything in particular being wrong in your work environment. The safest course of action is always to provide all of the facts to a solicitor with expertise in work-related accidents * so that they can advise you on the strengths and weaknesses of your particular case. The sooner this is done the better to ensure that vital evidence that might be the difference between you winning or losing your case is not lost. How much time do I have to bring a claim for compensation if I’ve been injured at work? If your injuries have been caused by a single workplace incident, such as a back injury caused when attempting to lift a very heavy object, or suffering a cut or crush injury when using equipment or machinery in the course of doing your job, the period that you have to commence your claim * as set down by the Statute of Limitations is generally two years from the date on which the incident which caused you the harm occurred. 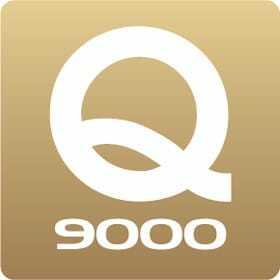 Things become considerably more complicated, however, if your injuries are cumulative in nature. For instance, if you’re suffering from pain as a result of some task at work which you’ve been doing over and over on a daily basis for several years, it’s probable that your symptoms didn’t suddenly develop overnight. Often times a nagging pain will develop into a debilitating injury over several months or even years. In cases such as this the two-year period within which you must commence your claim for compensation * will be deemed to have commenced when your injuries became “significant”. As there’s no statutory definition of what “significant” means, this has to be determined having regard to the circumstances of each case. If you don’t commence your claim * within the two-year period which applies to your case your claim will become statute-barred which will result in your entitlement to be compensated being completely extinguished. For this reason you should contact a solicitor who specialises in work-related personal injuries claims * without delay so that appropriate steps can be taken to ensure that you get paid the compensation that you deserve. There are certain circumstances in which the extremely harsh rule of imposing a strict limitation period of two years from the date of the injury to the date of issuing proceedings is softened. The injury which you’ve suffered is significant. The injury was caused by the fault of your employer. So, for example, let’s say you’ve been working with certain chemicals in your place of work for many years without incident. However, you begin to feel unwell and seek medical advice. After a battery of tests is carried out you receive a diagnosis and are told that in all likelihood your illness was caused by your exposure to these chemicals in your workplace. Even though you may have been suffering from this illness for years without knowing it, and your employer’s negligent act of allowing you to be exposed to the harmful chemicals has been ongoing for way more than two years, the two-year period within which you are allowed to bring a claim * will not be deemed to have commenced until the date on which you have been diagnosed with the illness and you have learned that the cause of the illness was the work-related chemical exposure. One form of disability which is recognised by the Statute of Limitations is when one is found to be legally ‘of unsound mind’ which might be rephrased as meaning lacking the fundamental cognitive abilities of your typical adult. Accordingly, any period during which an adult person is in an impaired mental state will not be included when calculating the two-year period. For example, if an adult of otherwise normal mental ability was caused by their work-place accident to suffer a head trauma meaning that they were in a coma for a lengthy period, the two-year period would only start to run from the date when the injured person came out of the coma and regained their normal faculties sufficiently to enable them to assemble and appreciate all of the information required to satisfy the date-of-knowledge test described above. But even where there may be some basis to argue that, in the particular circumstances of your workplace accident, the strict two-year period from the date of the accident to the date of commencing proceedings should be extended, there is no merit whatsoever in sitting on your hands and adopting a ‘wait and see’ approach. You can never be too hasty in commencing investigations if you suspect that you’ve been injured as the result of the fault of your employer, and there’s absolutely no upside to adopting a relaxed approach. You won’t be rewarded for waiting around, no matter what the circumstances. That said, if there have been more than two years between when the accident occurred and when you found out that you might have a claim *, you shouldn’t assume that your case is hopeless. It’s still worth talking to a solicitor to see if either or both of the date-of-knowledge test or the disability test or any other rule of law can save the day in your case. If you have any questions about injuries you’ve suffered in the work environment, our live chat operator is available to help you with any queries you may have at any time or, you can just give us a call on our nationwide Local number 1890 390 555 during office hours. Our Accident at Work compensation claims * solicitors are based at our offices in Dublin and Cork, however we assist people across the country from Limerick to Galway.